January 4 marks the passing of Erwin Schrödinger. Schrödinger was the Austrian physicist that introduced us to the wave equation of quantum mechanics. Schrödinger’s wave equation is a cornerstone of quantum mechanics. Quantum mechanics attempts to explain the behavior of atoms, molecules, and subatomic particles. The wave equation is a differential equation describing the wave function of a system. The solution of the wave equation is called the quantum state of the system. The wave function can be tailored to describe all that is possible to know about a particle or system of particles. This mathematical means to explain motion on the atomic scale would earn him half of the 1933 Nobel Prize in Physics. One aspect of his wave mechanics he disagreed with was the interpretation that the wave function deals with probabilities of observing, or measuring, various aspects of quantum systems. The Heisenberg principle states the position and the velocity of a particle cannot be exactly measured with perfect accuracy. Similarly, quantum mechanics shows probabilities of position and velocity and all values are possible, some values being more possible than others, and does not exist until the observer measures it. Schrödinger felt this description was limited since it couldn’t be applied to larger systems. He formulated a thought experiment to show how this way of thinking was absurd. This experiment became known as Schrödinger’s cat. The experiment involves a cat in a closed box containing a complex boobie trap. The trap was a vial of cyanide gas, a small quantity of radioactive material and a radiation detector. The idea was when the radiation detector detects radiation from the radioactive source it will release the poison gas killing the cat. If no radiation is detected, the cat is just fine. Until the box is opened, there is no way to tell if the cat is alive or dead. Until it is observed, the cat exists in an unknown state between death and life. When the box is opened, the cat’s wavefunction collapses into the solution of either alive or dead. Schrödinger also worked in the fields of statistical mechanics and thermodynamics. He was also involved in trying to derive a unified field theory. 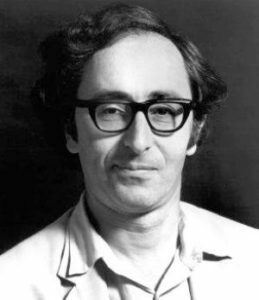 He published papers on topics in color theory, electrodynamics, general relativity, and cosmology. He also wrote books on the history of science and philosophy. 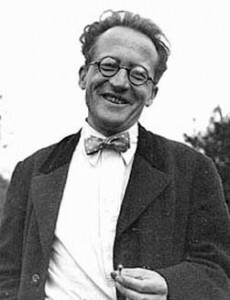 1961 – Erwin Schrödinger died. 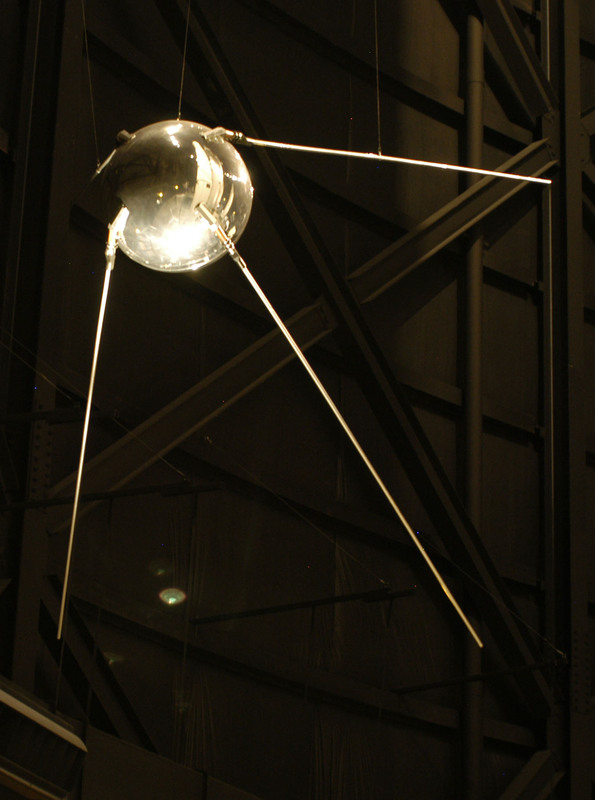 The first artificial satellite, the Soviet Sputnik 1 returned to Earth. It spent the first 22 days of its life in a 98-minute orbit broadcasting a radio signal until the onboard batteries died. It spent a total of 93 days in orbit before reentering the atmosphere and burning up. The launch of Sputnik 1 began the technological Space Race between the United States and the Soviet Union. 1945 – Richard R. Schrock was born. Schrock is an American organic chemist who shares the 2005 Nobel Prize in Chemistry with Robert H. Grubbs and Yves Chauvin for their development of the metathesis method in organic synthesis. Shrock identified structures and mechanisms of olefin metathesis catalysts. Metathesis is an organic reaction that redistributes the bonds of similar interacting chemicals so the products’ bonding affiliations are identical or similar to the reactants. It is used to create pharmaceuticals and petroleum polymers with less waste and byproducts. 1940 – Brian David Josephson was born. Josephson is a Welsh physicist who was awarded half the 1973 Nobel Prize in Physics for his discovery of the Josephson effect. When two superconducting materials are connected by a thin insulating barrier, current tunnels through the insulator. The ability of the current to pass through the barrier of the insulator is called the Josephson effect. This effect is an important principle of quantum-electronics. 1882 – John William Draper died. Draper was an English/American chemist who made major contributions to photochemistry. He found light could initiate chemical reactions. He described the point where objects will start to glow red when heated as the Draper Point and noted the rise in temperature as more and more light was added to an object. He modified Daguerre’s photography technique and took the first photograph of the Moon that showed features and details. 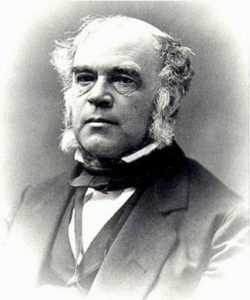 He also served as the first president of the American Chemical Society. 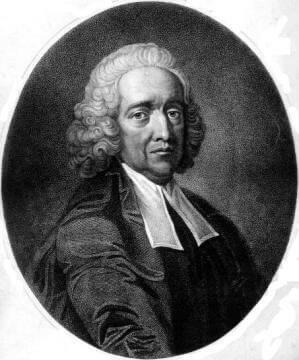 1761 – Stephen Hales died. Hales was an English clergyman and natural philosopher who first charted the movement of water in plants and that they absorb air. During this work, he theorized plants may use light as a source of energy for growth. This would eventually lead to the discovery of photosynthesis. Hales also discovered the dangers of breathing ‘stale air’ and invented a ventilator to use on ships and in prisons. His bellows system reduced incidences of disease, dry rot and was even used to dry grains. He invented the pneumatic trough to collect gases in the laboratory. This device collects gasses by allowing a collection tube to pass through a liquid into a bulb filled with water. As the gas enters the bulb, the gas pushes the water out and keeps the gas in. Once the water is gone, the bulb is filled with the gasses collected.